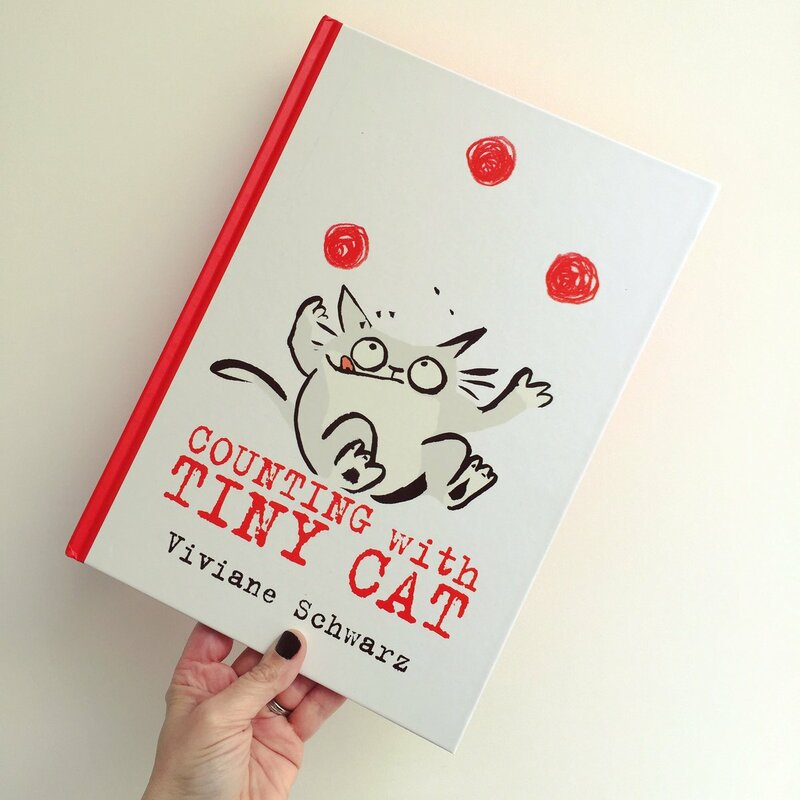 Counting With Tiny Cat is a counting book with a refreshing difference. We love the combination of bold yet minimal illustration and sparse use of text to support this creative and fresh approach to counting. 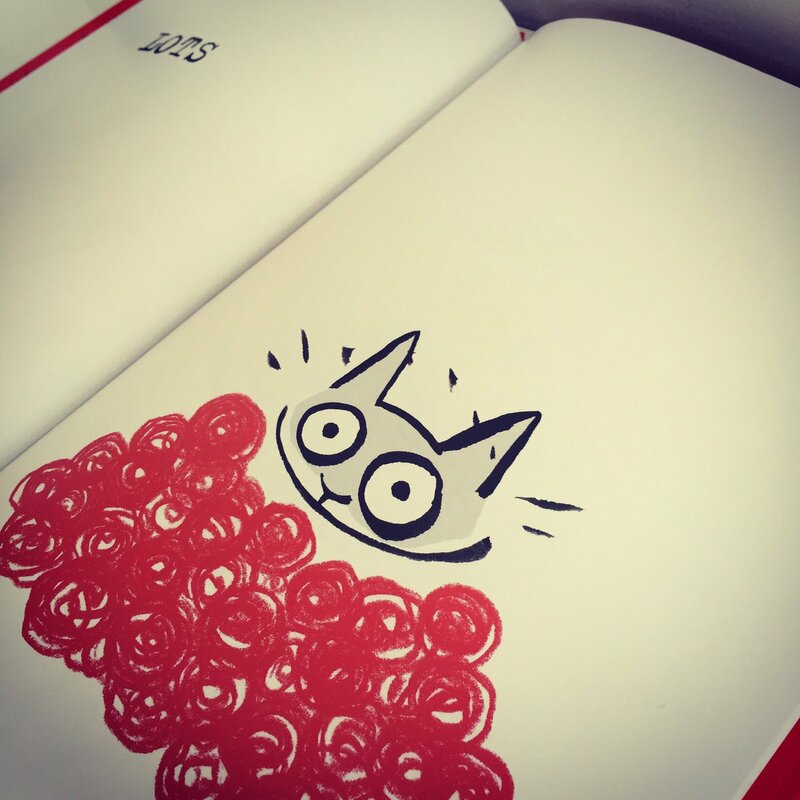 Tiny Cat finds it easy to count up to four balls of wool, but what happens when the numbers increase… It’s not so easy then! Just watch his character-filled face as he struggles to cope with the ever increasing numbers and ultimately the twist in the tale (excuse the pun) on the very last page. We love Viv Schwarz‘s highly original and innovative work and this is yet another to add to her string of successes. Schwarz incorporates a clever use of language, using quantifiers to underpin her fabulously expressive illustrations. 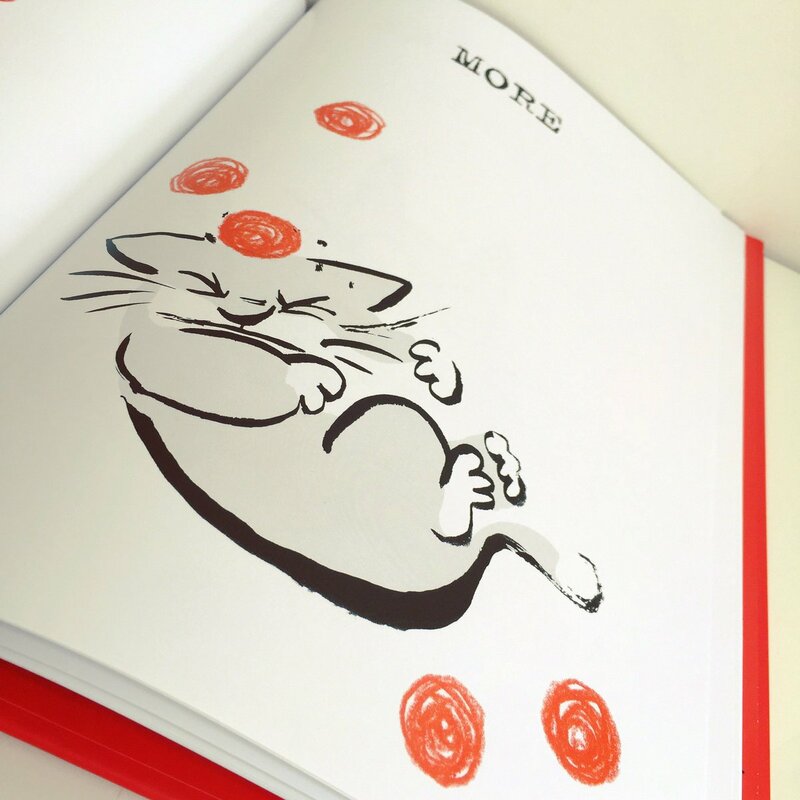 As with much of this artist’s work, the stand-alone illustrations speak for themselves, but the sporadic use of quantifiable words italicises each meaning to perfection. 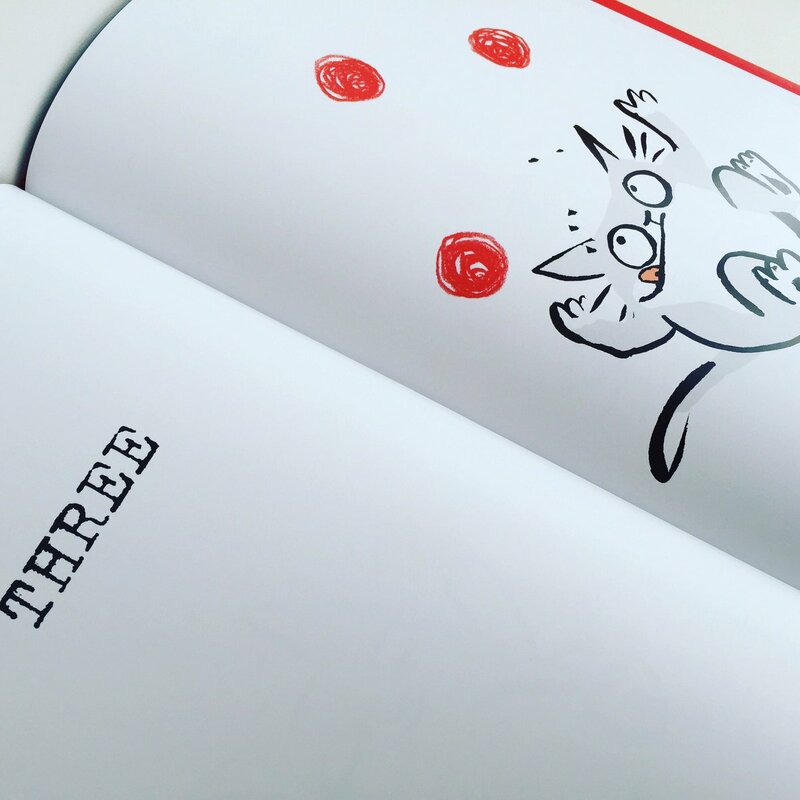 With a shrewd use of visual humour, this makes an ideal introduction to numerals and counting for a younger audience.